Who has the sole ability to DECLAS it all? Did you witness the stage being set today? Nunes/Grassley/Freedom C. push for docs. [[RR]] central figure within docs (personally involved). Immediate impeachment / resignation / termination / recusal IF EVER BROUGHT TO LIGHT. 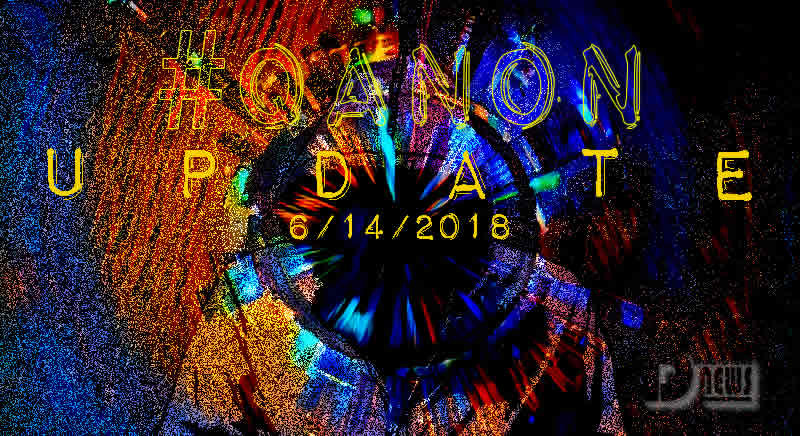 Tomorrow #3 – RR Modified/redacted version of IG Report to be published. We need to make noise & DEMAND #1 – unredacted version. POTUS can declassify. EO signed & ready to issue. Stage set w/Nunes, Grassley, & Freedom Caucus – guests on Fox pushing for release. RR is screwed. Hmmm…US Secret Service agents sitting in a car on tarmac next to a United Airlines acft…wonder who they are picking up. Did Rosenstein make it back from his Canada trip…or is it someone else flying in to visit @realDonaldTrump for his birthday? Q post #1497, @SecretService was thanked. On 13 June, UA Flight 391 from Toronto to Chicago, a 737-900 arrived at 11:40 pm local time. Was #USSS waiting in a UA Global Services Mercedes to welcome home #RR per #Huber’s orders? [[RR]] approved/signed FISA-warrant application(s) to extend surveillance on POTUS/others. This entry was posted in Uncategorized and tagged "Q", Disclosure News Italia, love, Original IG report review, POTUS, R&R, redactd IG report under review. Bookmark the permalink.